Most Democrats running in competitive House races are supporting or at least leaving the door open to some form of "Medicare for All" — although there is no clear agreement within the party about what that means. The big picture: There are 44 House seats that are held by Republicans and rated by the Cook Political Report as toss-up, lean Democratic or likely Democratic. There's a ton of variation in how Democratic candidates in those races approach "Medicare for All," but most leave the door open to supporting it. Some explicitly say they support "Medicare for All." Others say they support a pathway to Medicare for All, a Medicare option for all, or a Medicare buy-in. Some simply say they support a "public option." Mary Gay Scanlon, running in Pennsylvania's 5th district, says on her website that "she supports universal healthcare, and a transition to Medicare For All, but believes that in making that transition, we must protect and repair the Affordable Care Act and support a public option system that protects the most vulnerable Americans." Gil Cisneros, the Democratic candidate in California's 39th district, told ThinkProgress that Democrats' first priority should be to protect the Affordable Care Act, "and then we can keep progressing and working towards making sure everybody has Medicare for All." His website says that he'll fight to stabilize the individual market and to give people the option to buy into Medicare. 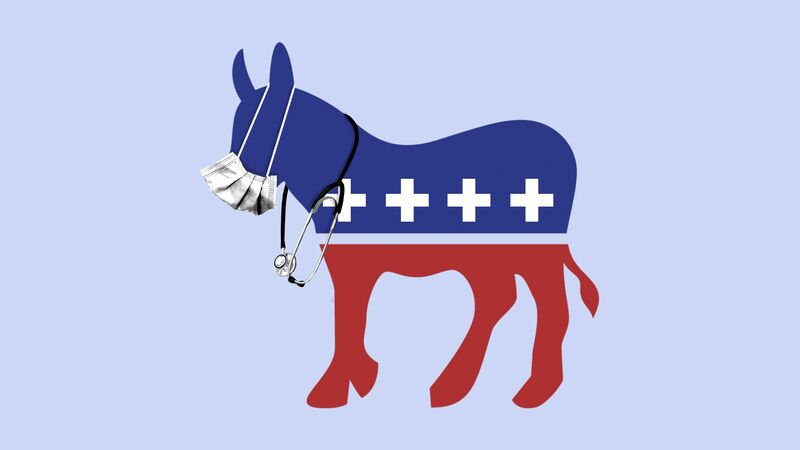 In Kentucky's 6th district, Democratic candidate Amy McGrath's website says that "currently proposed single-payer legislation would represent such a sweeping overhaul that it would put our healthcare system into massive upheaval. I do not support such an approach."